Professor Zhouying Jin is a senior researcher and professor at the Chinese Academy of Social Sciences(CASS) where she is Director of the Center for Technology Innovation and Strategy Studies (CTISS). She is president and founder of the Beijing Academy of Soft Technology and author of Global Technological Change: From Hard Technology To Soft Technology (Intellect UK 2005). Prof. Jin is an academic member of Shanghai Academy of Systematic Science and a guest professor of Hohai University (Nanjing), Tsinghua University(Beijing) and Chinese University of Science and Technology. 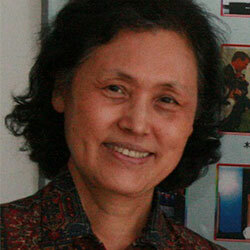 She was a member of the Professional Committee of the Chinese Academy of Social Sciences (1992-1998). In the recent fifteen years she led more than 20 important projects whereof 15 projects were asked by central government, ministry, Chinese academy of social sciences, or international organizations. She had been in charge of the Strategy Research for the Nation’s S863 Plan, organized a cross-discipline team to led the project of ”Long-term strategy integration and sustainable development” asked by CASS, National strategy for Petroleum and Natural Gas, Evaluation of Nation’s High-Tech Research & Development Plan, Assessment for The Breakthrough Project, Service innovation and NGO organizations in China, Strategic Management and institutional innovation on Coal bed Methane industry, Green Car Development Guideline and Environmental policy in China, Environmental strategy for transnational Auto companies, etc. She is also chair and founder of the Future 500 China; a Planning Committee Member of the Millennium Project and Co-chair of the China node of the United Nations University American Council; a member of The Brussels-EU Chapter of the Club of Rome; a Senior Research Fellow of IC2 Institute at Austin; a member of World Future Society and a fellow of the World Innovation Foundation.